Hungarian Prime Minister Viktor Orbán launched a defamatory campaign against European Commission. The Hungarian government has launched a campaign – complete with billboards, full-page newspaper advertisements and a letter from the Prime Minister Viktor Orbán addressed to all Hungarian citizens – entitled “You too have the right to know what Brussels is planning!”. Following the College meeting, the Commissioners have decided to issue today a response. According to a statement the European Commission agrees, citizens do deserve to know the truth about what the EU is doing, but they deserve fact not fiction. The Hungarian government campaign distorts the truth and seeks to paint a dark picture of a secret plot to drive more migration to Europe. The truth is that there is no conspiracy. The claims made by the Hungarian government are at worst downright factually incorrect or at best highly misleading. The response the Commission issued sets the record straight, point by point. A difference has to be made between relocation (from inside the EU) and resettlement (from outside the EU). Resettlement of refugees from outside the EU always was and will always be on a purely voluntary basis. The EU seeks to coordinate efforts (in the form of the “Resettlement Framework”) but all national pledges are and will remain voluntary. Relocation is the transfer of asylum seekers from one EU Member State to another. At the height of the crisis, Member States adopted a law to show solidarity with the countries under the most pressure, Italy and Greece, and relocate a small number of asylum seekers from these countries. 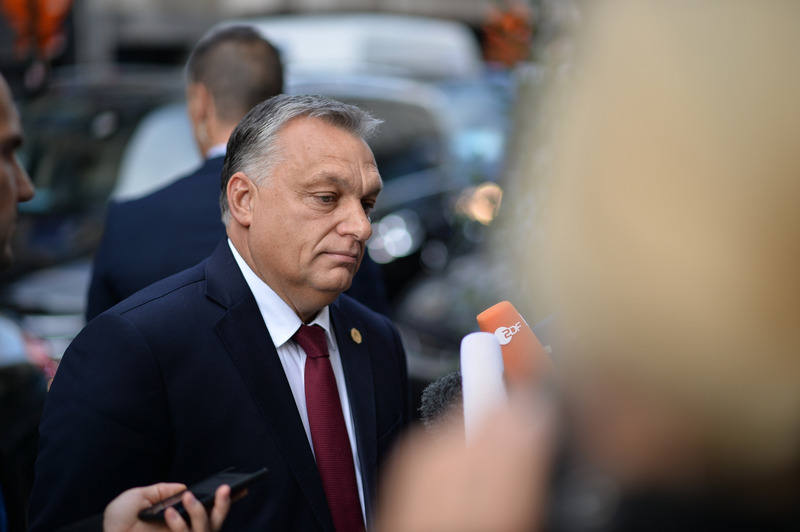 The decisions adopted by the Council of Ministers, in which Hungary has a fair say alongside other governments, required Hungary to accept a very limited number of asylum seekers (680 of the 34,710 who were found eligible for relocation). Hungary did not live up to its obligations and did not relocate a single one. This 2-year framework has now ended. The EU’s asylum rules do not contain any provisions on mandatory relocation. Discussions on a reform of the existing rules are ongoing amongst Member States and the European Parliament. The Commission position in these negotiations is that all should show some form of solidarity but that it can come in many different forms (sending border guards or financial contributions for example). Borders have to be protected from security risks, but they also have to be managed for legitimate travellers. It is a far stretch of the imagination to read into this terminology as a plot to undermine border defence. Europe’s new Border and Coast Guard, set up in 2016, has strengthened the collective European efforts to protect the external borders more effectively. The Commission has also proposed to go even further and create a standing corps of 10,000 border guards that would be at Member States’ disposal to do just that: protect our borders – while fully respecting both fundamental rights and the sovereignty of the Member States over their borders. In the last 2 years, the Commission also proposed and the Council adopted new rules that are now in place and ensure that each and every person crossing the external borders is checked against all our security databases. The EU is also working with countries where migrants come from or pass through to address the root cause of migration. For example, the EU-Turkey Statement reduced arrivals to Greece by 98%. We are working to improve the rate of return of irregular migrants who have no right to stay in Europe. Member States have not asked, and the Commission has not proposed, nor is it planning to propose new legislation to issue so-called migrant visas. The fact that Parliament has decided to write an own initiative report on this issue in no way makes it EU-wide policy. The admission of persons in need of international protection from third countries is already the subject matter of the proposed Union Resettlement Framework Regulation, which a) remains voluntary and b) respects the territorial limitations of EU asylum rules. The European Union has zero tolerance for human trafficking and has taken action for many years to combat this exploitative crime. The Commission — like the Hungarian government, like all EU governments — does not support irregular migration. The Commission is working with all Member States to reduce arrivals to Europe whilst still living up to the international obligations of all democracies to protect people — men, women and children — who have to leave their homes because of war. Saving lives at sea and looking after vulnerable people who have fled bloodshed and war and are in need of international protection is not the same thing as promoting irregular migration. There is no evidence of NGOs working with criminal smuggling networks to help migrants enter the EU. Non-Governmental Organisations (NGOs) and other international organisations are, on the contrary, among the most reliable and valuable partners in dealing with the refugee crisis. They offer asylum seekers information and legal advice and also provide reception and care facilities, helping to ease the burden of Member States. The Commission funds a programme run by the UNHCR for prepaid debit cards for refugees and asylum seekers in Greece. Beneficiaries receive a pre-defined monthly financial grant allowing them to meet their basic needs such as food, clothing etc. The financial aid, as opposed to giving out in kind aid, is cost efficient, facilitates integration in local society and benefits the local economy. There are no anonymous debit cards. The beneficiaries of each card are known. The cards include a number that refers to the identity of the beneficiary enrolled in the programme. The identity of the card-holder is verified monthly by a physical check. The card is limited to use in Greece. It cannot be used in another country. The European Union is not and has never been about “Brussels” but a project driven and designed by its Member States, each of which has decided unilaterally and democratically that this is the path they wish to adopt, including Hungary. Each and every one of those Member States, including Hungary, takes both the responsibility and the credit for the decisions taken collectively. Besides action to curb irregular migration, there must still be legal pathways for, for example, qualified workers. Legal migration in fact acts as a disincentive to irregular migration. Member States remain exclusively in charge of the numbers of workers they admit, if at all. In other words, they remain entirely voluntary. The pilot projects are a way of offering an EU framework of admission conditions and procedures to support them should they decide to do so. Examples include projects to address skill shortages in the IT sector of a participating Member State, combined with reintegration back in the migrants’ home countries at the end of the project. Hungary is not participating in any of the pilot projects. Simply: countries that have been more affected by migration receive more funding to help them in managing it – irrespective of their politics. Cohesion fund allocations include extra funding in relation to net migration from outside the EU in the country since 2013. For the next budget, all EU Member States, including Hungary, agreed in a series of statements and European Council conclusions that we should learn the lessons of the past and foresee more means for migration management and border security in the future. This includes funding to address the root causes of migration (and thereby prevent it), support for national border protection measures well as solidarity for EU countries disproportionately affected by migration.